Host Alicia Keys offered up during the televised portion of the show that Lazar had earlier become the first woman mastering engineer to ever win the best engineered album, non-classical for Beck's "Colors." 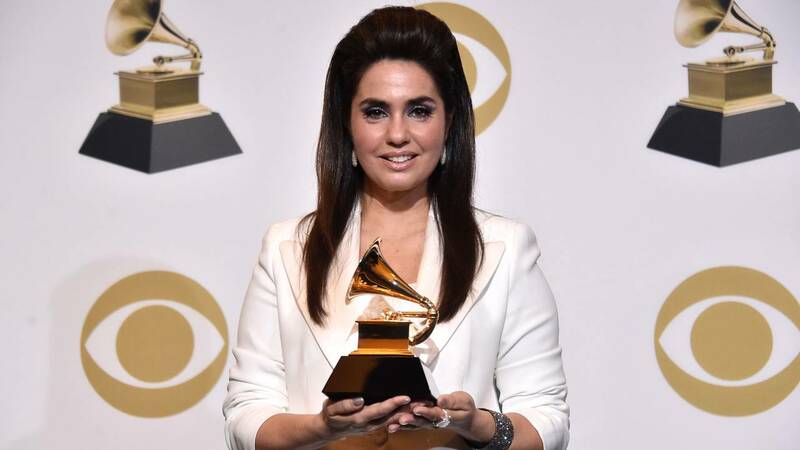 The singer became the first LGBTQ person to win a Grammy in the best Americana album category for "By the Way, I Forgive You." Carlile also won awards for best American roots performance and best American roots song for "The Joke." "This Is America" became the first rap single to win both song of the year and record of the year. Gambino -- aka Donald Glover -- did not attend the ceremony. Cardi B. was flustered Sunday night when she accepted the best rap album Grammy for "Invasion of Privacy." She joked a bit about it while holding on to her husband Offset's hand for support. "The nerves are so bad," she said. "Maybe I need to start smoking weed."